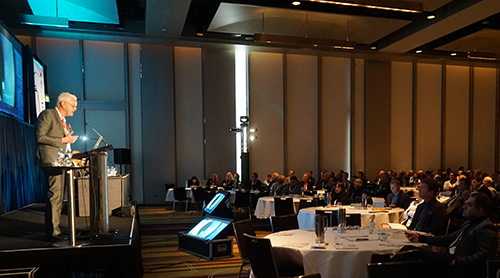 I was recently honoured to be invited to speak at the SynergEYES conference held in Sydney. assessing BioMaterial, BioOptic & BioMechanics for optimal intraocular (IOL) performance. 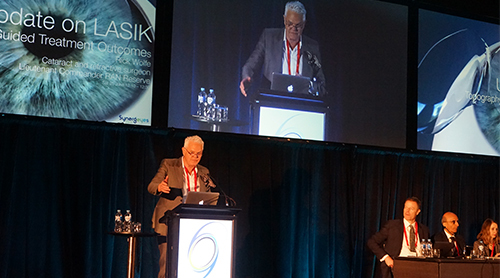 I also presented to 170 ophthalmologists about the history of LASIK, newest technological advancements (such as topography guided treatment) and explained how today, LASIK patients are achieving higher quality of vision than with spectacle or contact lens correction. Both presentations raised some very interesting discussions among the panel and audience. I found the other presentations to be extremely insightful and was particularly impressed by the special guest from Ahmedabad, India, Dr Abhay Vasavada, who is an expert in the method of cataract extraction. Overall it was one very inspiring conference! This entry was posted	on Tuesday, July 5th, 2016 at 10:37 am	and is filed under In the News. You can follow any responses to this entry through the RSS 2.0 feed. You can leave a response, or trackback from your own site.